Meandering through a majestic hillside orchard, the resort style Harvest Golf Club offers captivating views of Lake Okanagan and golf that is second to none! The Harvest boasts 18 holes of championship golf, complemented with a specialty golf shop, practice facility, full service clubhouse and staff that provide the utmost in customer service. 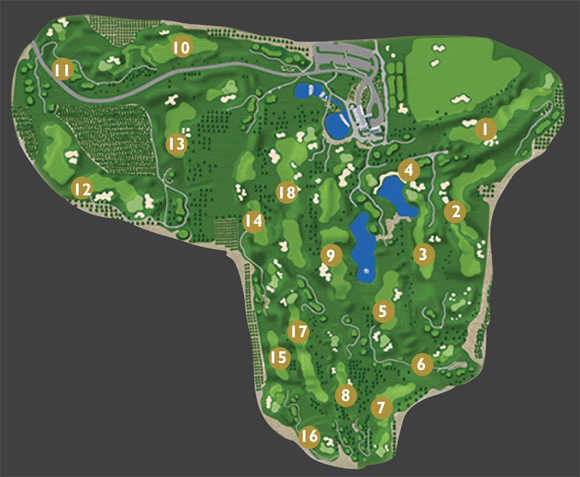 Pro Insights Description: 17 is definitely the toughest hole on the course. Both the tee shot and the second shot need to be long. Oh, and beware the vast, rolling green! 17 is definitely the toughest hole on the course. Both the tee shot and the second shot need to be long. Oh, and beware the vast, rolling green!